Your company blog is not just for posting announcements and events - it's the fishing net that captures all the potential prospects, build brand awareness, drive traffic and turns visitors into sales leads. 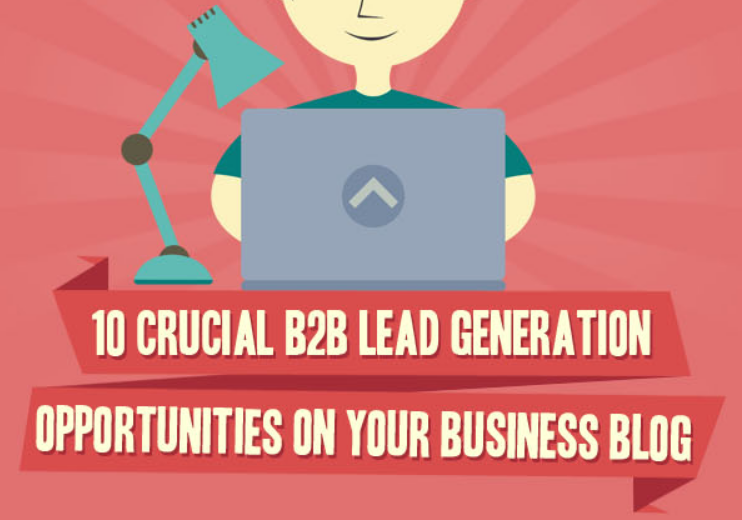 But for your blog to become an effective lead generation tool, it must take advantages of every opportunity to increase its chances. Here's an infographic from our pals at Callboxinc proposing 10 crucial elements you shouldn't miss on your B2B blog. Use Flirtatious headlines - Highlight educational content - Observe current events and discuss trending issues - Visually stand out - Don't neglect your social networks. Anything to add? Let me know in comments.